HMS Queen Elizabeth and HMS Prince of Wales - Aquaseal Rubber Ltd. Recently we’ve been involved in one of the most relevant construction and manufacturing projects in the UK. This is part of the Ministry of Defence’s priorities to expand the UK’s global influence. 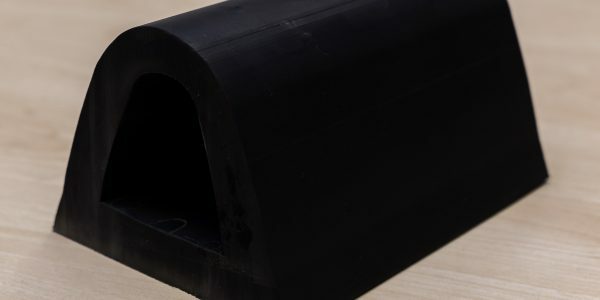 Our manufactured extruded rubber profiles have now been dispatched for use as part of HMS Queen Elizabeth and HMS Prince of Wales aircraft carriers. To give a bit of background on the project, the HMS Queen Elizabeth and HMS Prince of Wales aircraft carriers are two new vessels that are part of the Queen Elizabeth-class aircraft carrier. Billed as “future flagships of the nation”, the carriers will be used initially to carry helicopters and then a fleet of F35 Lightning II fighter-bombers. The aircraft carriers are sister ships, and part of a £6.2 billion project being conducted by the Royal Navy and the Ministry of Defence. They are being built at different timelines with the HMS Queen Elizabeth expected to be commissioned later this year in May, while the HMS Prince of Wales is expected to be commissioned in 2020. As these are the Navy’s largest ever warships, there has been collaboration on a mass scale in order to get them built. The ships are being manufactured at six shipyards across the UK. All the parts are then shipped to and assembled at Rosyth Dockyard, Rosyth, Scotland. Construction of the HMS Queen Elizabeth started first, which commenced in 2009. The current round of work we have been involved in is part of a longer-term partnership with one of the project’s design houses that started back in 2010. Aquaseal Rubber has been involved from the initial design and has developed our relationship since them. 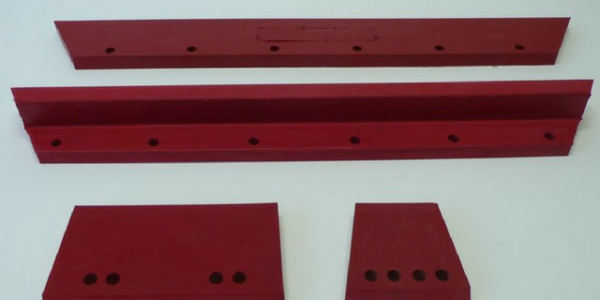 The design house approached us to help develop the project and we were able to give advice and guidance to develop the correct rubber extruded profile. As the door on the vessel had already been designed, it was important to get the profile correct. Eddie Armstrong, former managing and technical director, spent many days with the designers discussing specifications. This allowed us to determine how the seals would work on the watertight doors and ensured that the right rubber was used to the product. For the extruded profile, we used neoprene, as it has a 20 year life expectancy and will hold up to sea water with minimal degradation. 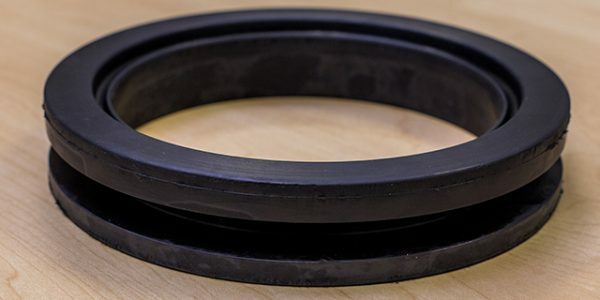 Traceability of material for the project was also important and the rubber used was sourced and manufactured in the UK. 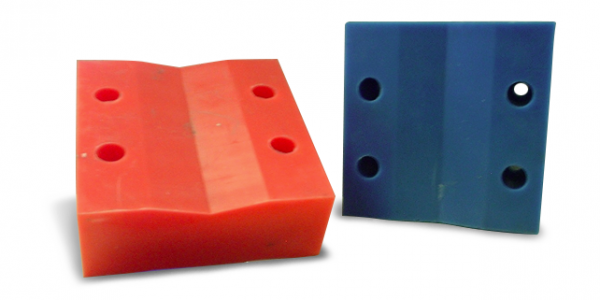 After the design work was complete, in 2012 Aquaseal Rubber manufactured the first set of pads and straight section. This was then delivered direct to the steel fabrication company based in Rotherham Yorkshire. It was fitted directly to the HMS Queen Elizabeth. Aquaseal Rubber has just completed and delivered the second set of pads and straight section for the HMS Prince of Wales. The Aquaseal Rubber name was put on the engineering drawings as the main supplier for this product. This has helped to cement our future in the project, as we are the premier manufacturer of any spare parts. The previously fitted set of pads and straight section fitted on the HMS Queen Elizabeth in 2012 are still working without any issues to date. This project has helped us developed our process working with design houses and are happy to work alongside them, providing advice and guidance whenever needed. 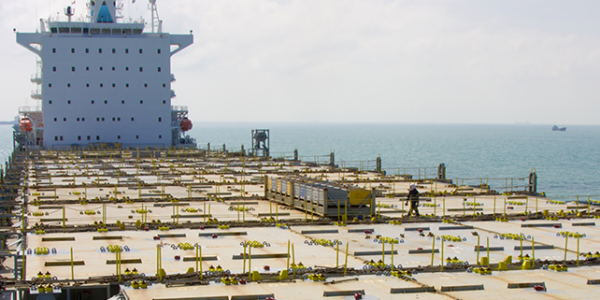 It’s one of the most progressive shipbuilding projects ever and we’re proud to have been a part of it.